Are you a victim of a ‘slip and fall’ accident in Rialto, CA? If you are, you might be having angry thoughts about how the property had endangered your life and safety. You can turn this anger into some cash if you sue the owner of the property for ‘slip and fall’ accident. 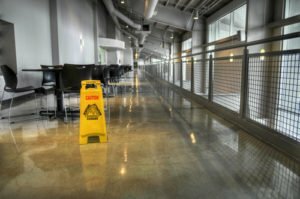 You cannot expect to be successful with this except you hire the services of a dependable slip and fall accident attorney in Rialto. Rawa Law Group is a superior legal firm that provides stellar legal services to clients all over California. No matter where you are in Rialto and beyond, our services are just a call away. We have some of the most experienced attorneys in the state and it is evident in the number of injury cases that we have fought and won. Some cases have amounted to several hundreds of millions in the settlement made to our clients. Rawa Law Group provides that necessary personal, one-on-one attention that you need from a trained lawyer. As your case is being worked on, you are kept informed of everything. Our appointment hours are very flexible as is necessary to suit our clients. In case of serious injury where you cannot be mobile, we dispatch our attorneys to visit your home or hospital. We also give out proper legal counsel for no discreet fees. Take advantage of our free consultation – which means zero upfront costs. We only require payment after winning your case. You can be sure you will hire a dependable slip and fall accident attorney in Rialto, CA when you come to our address.